NEW YORK, NY--(Marketwired - April 17, 2017) - Owners of electric vehicles in New York City and Westchester County can earn e-gift card rewards and get valuable information about their charging habits by participating in a new Con Edison program. Con Edison and FleetCarma, a company that specializes in electric vehicle technology solutions, are seeking participants for a program called SmartCharge New York that will pay EV owners to charge their vehicles at times when demand for power is not highest. 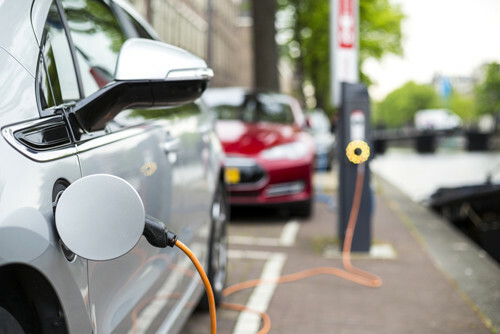 "We expect the number of electric vehicles to increase the next few years as drivers realize the economic and environmental benefits," said Matthew Ketschke, Con Edison's vice president, Distributed Resource Integration. "We see EVs as another technology that is helping us build a cleaner, more efficient energy future in which customers have access to the choices they want." Participants in the program will get valuable information. They'll have access to FleetCarma's online portal where they can get data on their driving energy efficiency, carbon footprint, battery health and more. They'll also be able to track rewards earned and share and compare experiences with an online community of EV drivers. The program is open to all EV owners, both residential and fleet, that charge in the Con Edison service territory. It is not necessary to be a Con Edison customer and an EV owner can enroll more than one vehicle in the program. Here's how the program will work: Each participant will get a free cellular-enabled, FleetCarma C2 connected device that plugs into the on-board diagnostic port or connector of the vehicle and collects charging and driving data. Drivers will be able to see their information via the online portal. Just for enrolling in the program an EV owner will earn $50 in SmartCharge Rewards. The owner will then get $5 in rewards in each month that they charge in the Con Edison service territory. An EV owner will earn 5 cents in rewards for each kilowatt hour of charging during off-peak hours. Off-peak hours are from midnight to 8 a.m.
From June to September, an EV owner may earn an additional $20 a month for not charging between 2 p.m. to 6 p.m. weekdays. SmartCharge Rewards can be redeemed for an assortment of e-gift cards, digital pre-paid cards, and nonprofit donations. Con Edison's goal is to gather insights on how the growing popularity of EVs will impact its electric-delivery system. Con Edison can use that information to help guide investments in its system and maintain its industry-leading reliability. The timing of the program coincides with a New York State incentive. The Drive Clean Rebate offers a discount of up to $2,000 for those who buy a qualifying electric vehicle from a dealership registered with the state. In addition, the federal government offers a tax credit of up to $7,500. Con Edison is a subsidiary of Consolidated Edison, Inc. (NYSE: ED), one of the nation's largest investor-owned energy companies, with approximately $12 billion in annual revenues and $48 billion in assets. The utility delivers electricity, natural gas and steam to about 3.4 million customers in New York City and Westchester County, N.Y. For additional financial, operations and customer service information, visit conEd.com. For energy efficiency information, visit coned.com/energyefficiency. Also, visit us on Twitter and Facebook. Con Edison introduces program to pay rewards for smart electric vehicle charging.